← Mythical Creatures in Fiction: What to Keep, What to Toss? During the “good old days,” a plagiarizer had to actually work for their ill-gotten money. It required them to find a book that had been out of print for decades, take it home, and, depending upon just how lazy they were, reread it, edit a few key features (like character names and places and times) and then retype it. They then had to find an agent followed by a publisher who had never read the story before and who agreed to publish the stolen storyline. It was a risky business. The agent and publishers had their real names, their real addresses, and often made them provide proof of actual ownership of the story by coughing up their registered copyright notification. In today’s digital media age, finding works to plagiarize is as easy as typing in “free fiction story” into Google and clicking on “search.” Thanks to websites, community writing groups, role-playing forums, and the ever-increasing adult literature sites, thieves can now find literally hundreds of thousands of free stories in every imaginable genre. And since, according to copyright law, a writer’s work is immediately protected upon its creation, writers are posting their intricate tales and passion-filled poetry all over cyberspace. Their reasons are as varied as the writers who pound away ceaselessly at the keyboards: there are those who just want to share their work with the world at large, those who are using the internet as their own “publishing” company, and others are self-publishing authors who are posting samples of their work to online sites and communities as a way to build up their reader base. And stealing those works is as easy as Select. Copy. Paste. Thanks to the digital age, becoming a published author is fairly easy and, for those who are willing to do all of the hard work themselves, it costs them nothing but time and energy to produce the product. They can even save advertising dollars by hooking up all their free networking sites together and pointing their readers to these pages. Thanks to POD services and e-book publishers like Amazon and their Kindle reader, authors can now forgo having to pay huge sums of out-of-pocket cash for hundreds of copies of their works and simply have them printed out on an as-ordered basis. And thanks to ebooks, they can now offer their works cheaper and instantly through downloadable PDF files. Unfortunately, this ease of self-publication has also made it easy as pie for plagiarists to steal the written word off the internet. They are now farming entire sites for story content, copy and pasting directly into text documents. Since ebooks do not need any type of special formatting like printed books do, the thieves do not really have to put forth any real effort into making the stolen content fit a specific format. They can basically copy and paste directly without even trying to space out the stories. They are using the technology that was invented to make it easier for the indie authors to reach their readers and using it against the authors. To make matters worse, places like Amazon who offer publication through their e-book format, do not check any of the information that is given when an account is created. Since everyone gets paid mostly through Paypal, they have no reason to check the account holder’s real name or address. Thanks to oversights such as these, plagiarists are creating dozens of accounts and offering their stolen stories and novels for sale through e-book format, often times just closing one account out and creating others whenever someone gets wise to their thieving ways. To add insult to injury, Amazon does not even offer any way for plagiarized authors to report books as stolen works. And judging by a recent indie author’s personal plight of trying to convince Amazon that his work had been stolen and included in an anthology published by a plagiarizer, the company obviously does not take plagiarism and copyright violations nearly as serious as they should. After all, they are getting paid for each copy of book/e-book that is sold on their site. They don’t care if it is stolen or not, so long as they get their money. And the more stuff that gets reported as stolen, the more money they are losing by not checking out the “authors” who sell their works on the website. Spotting them is fairly easy; they are the ones who have put up more than a dozen books and anthologies in the past few weeks and offer the same titles under a half-dozen different names. Many authors have made suggestions for stopping the internet theft. Obviously sites need to offer some way for general web surfers to report books as stolen. Anyone who offers up anything for sale online, whether it be in e-book or print form, should have to file formal copyrights on it and give a copy of this registration before anything can be uploaded to the site. This goes for POD companies as well. Or, hosted works should be compared to other published content across their own site and the web to look for similar content offered under other names/accounts. Accounts should be verified by verifying the physical address of the member. Of course, some of these things would mean the “publisher” or “author” would have to wait a few weeks before they are able to begin selling their books with the company. However, speaking as an author who has had my work plagiarized, I do not mind the extra wait time if it means that my work will be less likely to be stolen. As for websites that constantly farm stories off of other story hosting sites and then use the stories without content of the original authors, this could become tricky. Ideally, there should be some way for hosts of websites to have all posted content on websites scanned and compared to other content listed on the internet. This may not be feasible, however, and as it stands, most websites have some type of “report” button on them for surfers to report directly to the admins of the website. I would love to see ALL websites sporting a report button that leads directly to the hosting company where surfers can report content on a website as being stolen. Or, the hosting company could implement crawls of their hosted sites’ content on a regular basis and compare it to content hosted elsewhere on the internet. Of course, this would mean possible abuse of the system, added work load for the hosting companies, and many website owners would not like the idea of having their content crawled on a regular basis. There would also have to be some sort of system worked out so that authors who post their stories on multiple sites would not have their content yanked for plagiarism. All in all, the very technology that was created to help authors become self-sufficient and reach their readers on a broader spectrum without having to resort to traditional publishing and to allow them more artistic freedom of their finished product is being used against the authors it was designed to help. What is making it quick and easy to sell works to masses of new readers is being used to sell stolen books, stories, and poems to millions of unsuspecting readers. It is cheating authors out of potential royalties, it is stripping the author of their law-given right to be acknowledged as the creator of the stolen works, and it is infringing upon their copyrights as the creator of the stolen works. 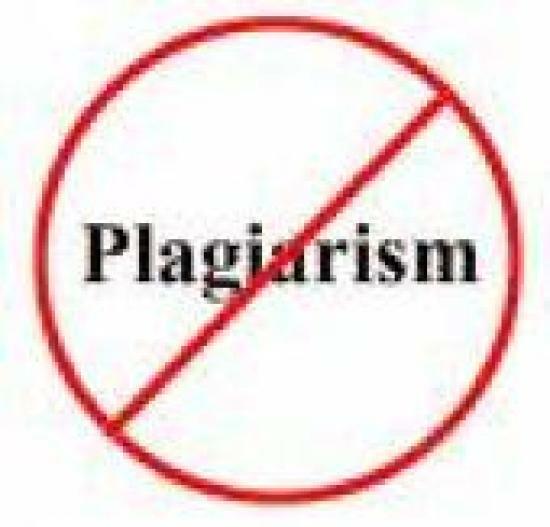 It is thievery, pure and simple, and it is a problem that needs to be stamped out like a wildfire, systems put into place to stop the thievery, and a systematic way to report all stolen works to a main organization whose sole job it is to search out and destroy all instances of plagiarism. Can I just say what a relief it is to find someone who actually knows what they are talking about? You definitely know how to bring an issue to light and make it important. More people need to read this and understand this side of the story. I can’t believe you’re not more popular because you definitely have a gift for dragging people into your articles.